We manufacture a wide range of standard and bespoke garden furniture. 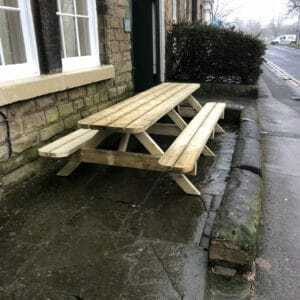 All picnic tables are made with C24 construction grade tantalised timber and is the cornerstone of our heavy duty range. 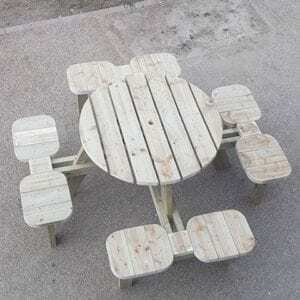 This round picnic table is new to our range and is proving very popular for domestic, pub and work environments. NO SELF ASSEMBLY REQUIRED – WE WILL DELIVER AND BUILD ON SITE.